Ultrasound is an extremely efficient and effective method of both preventing and eliminating blue-green algae. 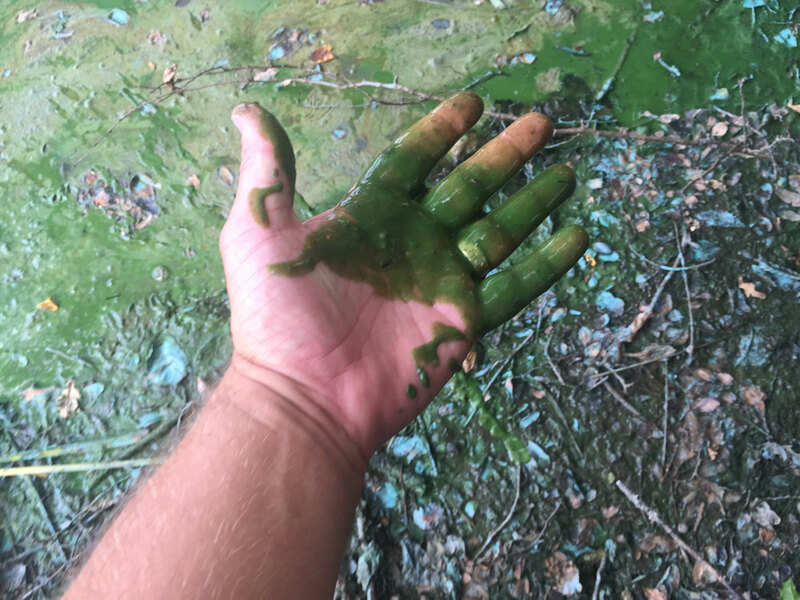 Besides being unattractive and unpleasant, blue-green algal blooms can be a serious problem and in particular, when they contains species which produce toxic by-products, such as Anabaena flos-aquae (see below) and Microcystis aeruginosa. 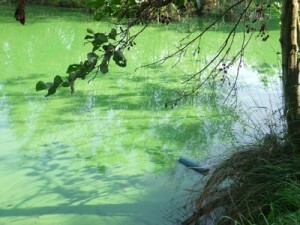 Toxic blue-green algae blooms can result in fish kills, problems for livestock and the closure of recreational waters. Blue-green algal blooms are normally associated with high levels of nutrients in the water and in particular phosphates and to restore a natural balance can be costly. The simple option is to install a PondTec ultrasonic unit. 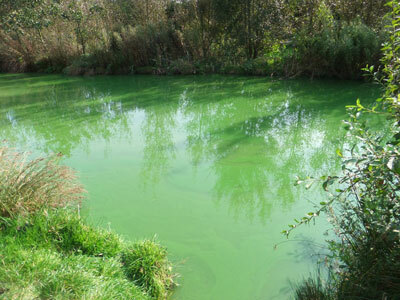 Most blue-green algae contain gas vacuoles, which are used for buoyancy. However, these gas vacuoles are extremely sensitive ultrasound. The ultrasound on striking the vacuoles, cause them resonate and then rupture, resulting in the algal cells sinking to the bottom of the water column where they die. Those species without gas vacuoles can be a little more stubborn. In September 2010 we installed a PondTec unit (an old version ultrasonic unit) in a pool at Whitmore Fisheries, Lancashire which had a serious bloom of the blue-green algae Oscillatoria. The images below speak for themselves. The Pond Tec ultrasound unit is installed in the pool. 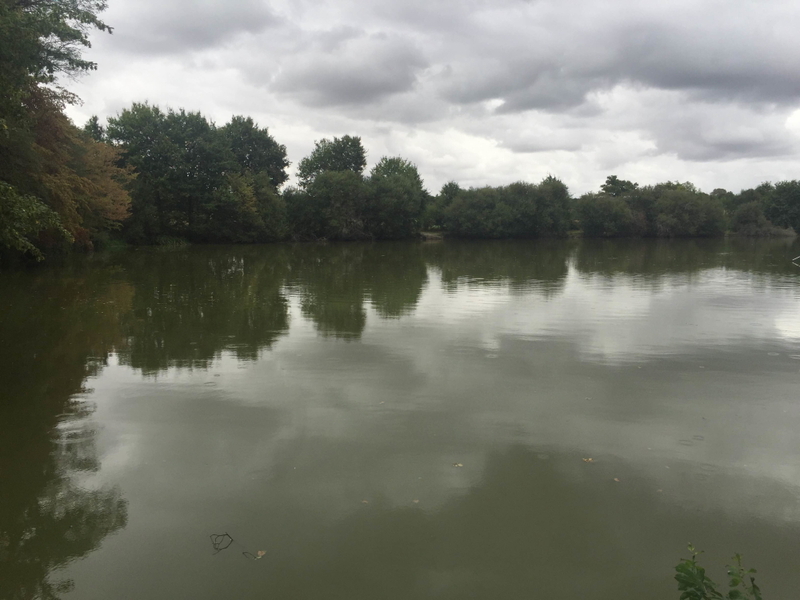 We were contacted in mid August 2016 by The Le Queroy Fishery, Nr Limoges in France. They had a blue-green algae problem and were concerned for the welfare of their large carp, which range ins size from 25-64lbs and therefore a very valuable asset. A Smart Lake 200 L1 unit was dispatched a couple of days later and installed the following week. I contacted them about 3 weeks later and they were delighted, as the horrible green scum had all but disappeared. Some before and after photos below. We were approached by in the summer of 2016 by Pilkington NSG from North Carolina, USA as they had serious problems with blue-green algae (primarily Oscillatoria sp) in the 21 acre lake adjacent to their factory, as other suppliers of ultrasonic devices had informed them that Oscillatoria could be controlled with ultrasound. We recommended the installation of two Smart Sonic 200D units to treat the lake, however the decided to install 3 of these units. The units were delivered, installed and turned on on 28th September 2016. On the 7th October, two the units were switched off, as the algae was dying and the oxygen levels had dropped significantly. The units were then switched back on 2 weeks later after the oxygen levels had risen. 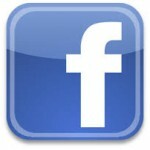 The initial report of this project can be read here. Just checking in to say how happy I am with the ultrasound system especially in this prolonged period of heat and extended sunlight. I note some other lakes are suffering quite a lot with algae but not us. It also interesting to note the positive impact of the clearer water in terms of the fish appearance and general visibility and marginal growth. 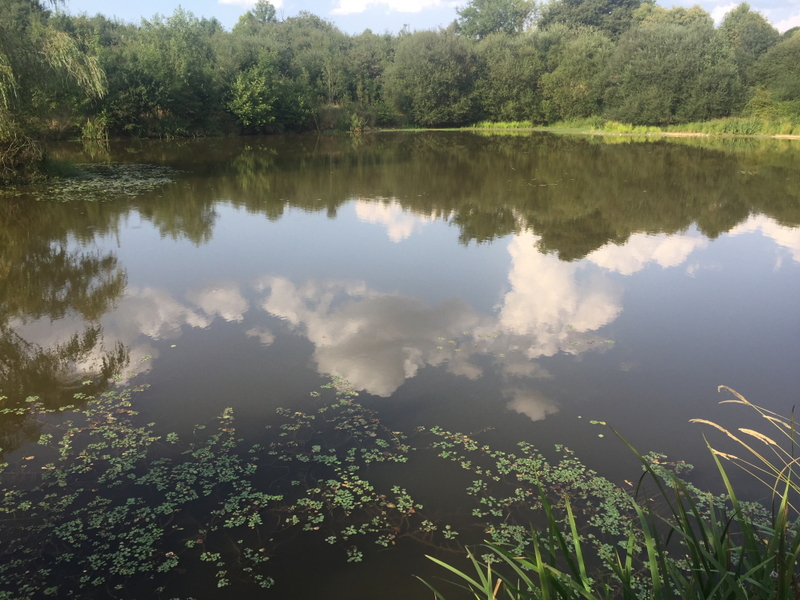 Moulin de Passais Fishery, France. Thought I’d give you some feedback. 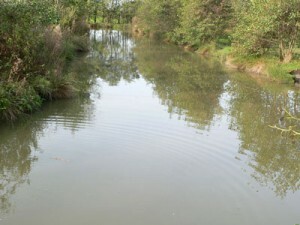 It’s took about 3 weeks to kick in but I can see the bottom of my lake in the margins to about 1 metre out. Never had that in the summer especially with this heat. Happy days! 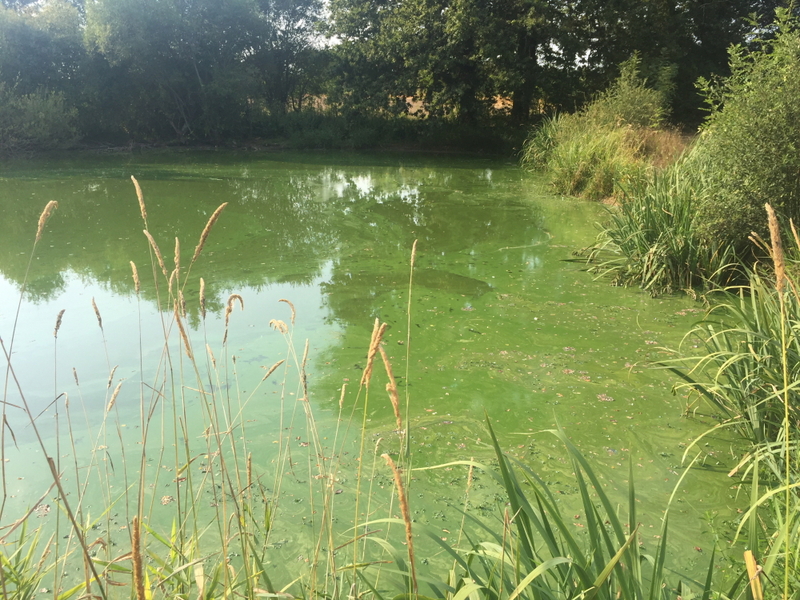 We have worked with Dr Eadaoin Joyce of Coventry University to study the effect of our ultrasound units on different species of toxic blue-green algae as part of a PhD Thesis – the results of which will be published at later date.